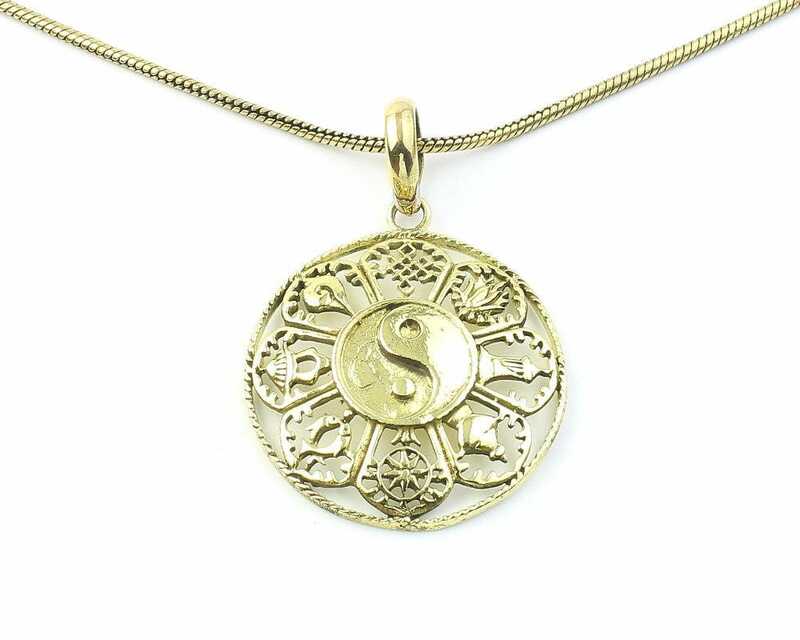 Ornate brass Tibetan pendant with center yin yang and surrounding it the 8 auspicious symbols. 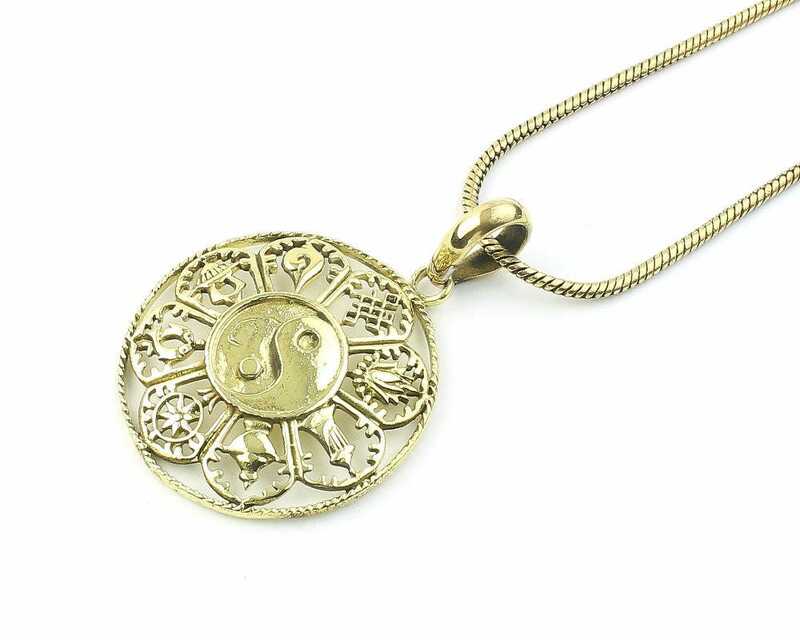 The 8 symbols being the conch, endless knot, fish, lotus, parasol, vase, Dharmachakra (wheel of the law), and victory banner. 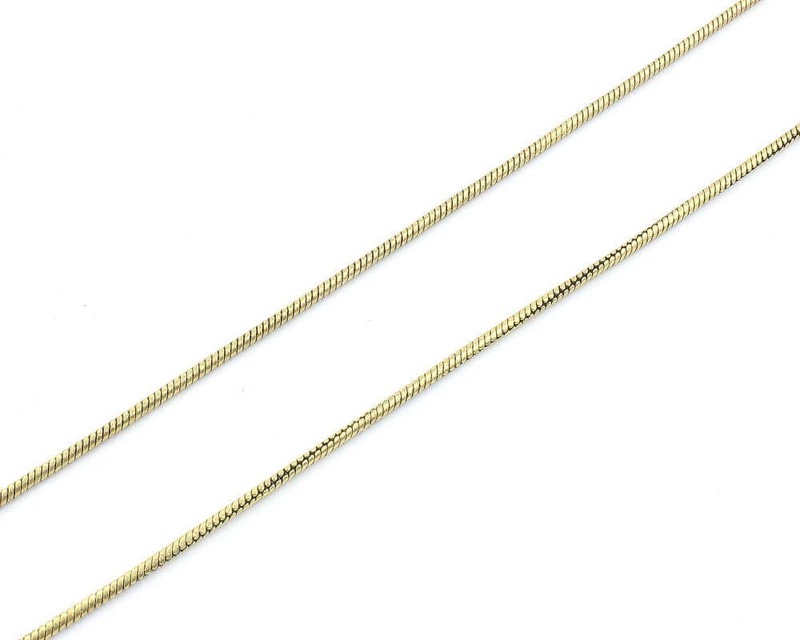 Chain Length: 20", 24", 30"